At some point in our business lives we will have to deal with complaints from customers. How we respond differentiates us from the competition and ensures that our reputation remains in tact. It also is a great way to test out your process for managing customer issues and ensures that the necessary procedures are in place. This means they are tested and evaluated to see if they worked or failed and then changed, if necessary and reinforced. The way we manage customer issues can and does have a huge impact on customer retention and acquisition. Research has shown that on average an unhappy customer tells ten people about their experience, these ten people then tell a further five. A total of 50 people will hear about a single bad experience they’ve had with you whether it’s service, company or a person they’ve dealt with. Factor in social media and the internet and this figure can rocket skywards. There are more ways to communicate with customers – email, mobile, internet and social media making a customer issue or complaint global. A customer complaint usually heralds an anxiety attack, the hands sweat and the mind slips into child like psychology ‘what have I/we done wrong now’ and it can often result in it being costly to resolve, time consuming or worse, more trouble. I admit that the challenge of resolving a customer problem whether it is of their making or ours causes knee shakes but at the same time, I relish working with the customer to find out why and how it happened and implementing a more improved fail-safe procedure to minimise the likelihood of it happening again. 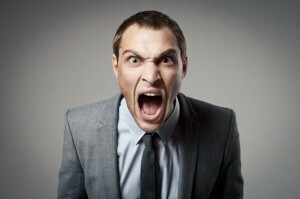 Last week, Digital Print Management’s customer complaint procedure was tested. Why would I want to share the fact that we made an error? Simple. We make errors, mistakes, call them what you like, they do happen and the key to success is how you put them right making the customer feel important and secure. It also demonstrates how committed you are in resolving the problem for the customer. The success of resolving a customer service problem strengthens the relationship between provider and customer deepening loyalty and commitment. 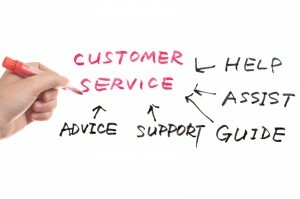 Here are DPMs 10 top tips to give great customer service. 1. Customer service is instilled in ‘all of us’ not just down to one individual whose sole responsibility it is to sort out customer problems. Customer service should never be departmentalised what it should be is common practice for all employees who are made accountable to ensure the customer has a great experience working or buying from you. Whatever the role in the company from Managing Director, sales to admin clerks, we are all ‘in customer service.’ We are in business to provide great customer service and satisfaction. As a print management and outsourcing consultancy Digital Print Management work in partnership with various suppliers and vendors, we work together not individually. If there is a problem it is ‘our’ problem not yours or mine. If DPM loses a client we all lose a client. Everyone owns the ‘problem’ until it is resolved. It is not an admission of guilt or liability. By apologising for what has happened or for any inconvenience caused is telling the customer that you acknowledge the problem and that you intend to resolve it. Owning up to a mistake immediately takes the wind out of someone’s sails and allows you to work with the customer to resolve the problem. 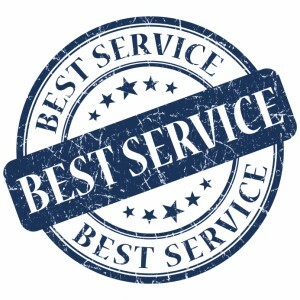 There are times when it is the customers mistake and you can demonstrate why it happened but by investing in goodwill and even replacing or offering the service at a reduced rate or free of charge makes the customer feel valued and upholds your reputation. The freedom of the internet means that customers can comment without saying it to your face. 3. Keep your promises – if I say I’ll get back to the customer by 4PM I do. There may not be any additional information I can offer for the reason the problem occurred but by communicating with the customer they know you are taking their issue seriously. 4. Don’t lie – never short route the process. You may think it is better to hold back important information but at some point it will end up by biting you. Tell the truth, as you understand it, what has been found during your investigation and report back. By keeping the information brief and not overly technical will help the customer understand the reason(s) behind the problem. 5. Treat people as you would expect to be treated – when faced with a customer complaint from the outset I try to put myself in the customer’s shoes. What does this problem mean for them, who do they have to report to, will they be reprimanded by their boss, how far up the chain will the issue go? 6. Maintain a professional manner – don’t joke with the customer about the problem or make it seem trivial. A handful of incorrectly printed documents or downtime in your service may seem trivial and insignificant but for the customer you’ve just created a big headache. 7. Listen up – When we get presented with a problem talking through the customer as though it’s not a real problem and assuming you know what the causes are only serves to ‘up’ the issue. By listening and understanding what the customer is saying helps identify where the fault occurred and ensures we don’t fall into the trap of guessing. By focusing less on what went wrong and more on fixing the problem makes it less of an issue for the customer. 8. Never promise what you can’t deliver – I couldn’t get back to my customer by the close of business with the details of why the problem happened but during the call I promised I’d call him back the next day with an update. 9. It’s about the customer not sales – I hate the word sales, or selling probably because I’m not very good at it. I prefer to work at keeping the customers business, minimising potential complaints or problems, rather than seeing them as £ signs. 10. Make sure you have a customer complaints management system and communications process in place so complaints don’t happen. Good communication management is key to long-term customer retention. There you have our 10 commandments for great customer service. We were thanked for our follow up and quick response with calls, emails and information. Attention to detail meant that our investigation resulted in no stone was left unturned and the client thanked us for making a big problem appear small. The customers problem and subsequent resolution has resulted in a revised process being updated this will now follow through to other clients who will benefit. This made the customer feel he had contributed greatly to resolving the problem in collaboration with DPM. Previous PostWhat does your content marketing say about you?Next PostHow to target your audience with personalised communications.